Khao San Road (ถนนข้าวสาร, in Thai) is a road that’s approximately 400 meters long in the Phra Nakhon district. Located in the western part of Bangkok, this neighborhood became famous for its Rattanakosin area, which the locals call “Rattanakosin Island”. The name comes from the fact that the area has the shape of a small island: in the southwestern part it’s surrounded by the Chao Praya River while in the northeast two artificial canals have been built – Saphan Lek and Khlong Rop Krung. The birth of Rattanakosin Island goes back to 1782, when King Rama I of the Kingdom of Siam decided to move his capital from the Thonburi area south of the river (where the famous Wat Arun Temple stands today), to the north at Rattanakosin. 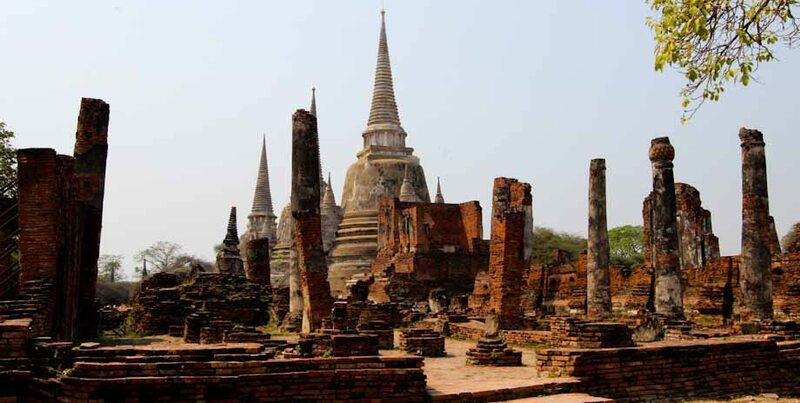 This era is considered to be the fourth after the kingdoms of Sukhothai, Ayutthaya, and Thonburi. Besides changing the location of the capital, King Rama I (the first monarch of the Chakri Dynasty and once a war general) also had the artificial canals built so as to protect the entire area around the royal palace. As a result, the Chinese merchants that lived there were forced to move into the area that today is called “Chinatown”. several Buddhist temples (Wat Intharawihan, Wat Sam Phraya, Wat Makutkasattriyaram, Wat Bowonniwet, Wat Chana Songkhram, Wat Mahathat, Wat Ratchabophit, Wat Ratchapradit, Wat Suthat). In the heart of the city center, bordering with Ratchathewi, is the Pathum Wan district. This neighborhood covers the entire area that goes from the BTS stop called National Stadium, up until Ploen Chit, going down south to also include Si Lom and the metro stations from Lumphini as far as Hua Lamphong. The name “Pathum Wan”, instituted in 1914 by the monarch of the time, is derived both from the Buddhist temple Wat Pathum Wataram (which in Thai means temple of the lotus flower), as well as the lotus pond building, Sa Pathum. The neighborhood has a smaller population than Ratchathewi. In fact there’s no more than 50 thousand inhabitants, spread across a total of a little more than 8 square kilometers. With its delicate balance that juggles between sweet, salty, bitter, sour and umami (which in Japanese means “tasty” and is present in foods particularly rich in protein such as meat and cheese) and its beautiful presentation (just think about the plumeria flowers that adorn desserts, or the amazing fruit carvings) Thai cuisine represents a fusion of taste and colors. Even though Thai cuisine is light and aromatic, its preparation is rather complex, especially due to the balance that each dish requires. An example is papaya salad: a perfect harmony between tart, sweet and spicy flavors, but also the consistency of the ingredients, such as the papaya (soft), the beans (semi-soft) and the roasted nuts (hard). In the past, traditional Thai cuisine was considered healthy, since it used cooking methods mainly based on boiled, grilled or stewed foods. These days, with Chinese influence, the “less healthy” foods, such as those that are fried have gotten the upper hand. In Thailand, as in Asia in general, it’s very easy to find counterfeits of name brand products. The largest Thai fake markets are in Bangkok, but you can find smaller ones in other cities like Pattaya, Phuket, and Chiang Mai. Before starting, note that importing “fake” products protected by a trademark can be considered a crime, so only do so after evaluating the pros and cons at your own risk. For a detailed explanation on the most famous shopping malls and markets in Bangkok, and how to get there, click here. 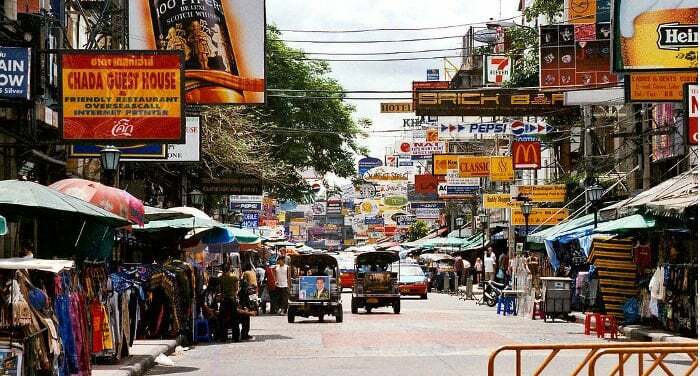 The choice of markets in the capital is quite varied, with the foremost being Chatuchak Market. Besides the classic visits to Buddhist temples, museums, parks, markets, and shopping malls, Bangkok also offers lots of alternative activities. Besides classic spas, or massage centers you can find spread throughout the city, there’s also a well-being center run by blind people. Perception Blind Massage is located in the Sathorn neighborhood, near the Chongnonsi SkyTrain stop, on Sathorn Soi 8. Operating hours are from 10:00 a.m. in the morning to 10:00 p.m., every day. What markets and supermarkets are there in Bangkok? The complete name of Bangkok is composed of more than twenty words, which when translated mean “City of angels, the great city, the city of eternal joy, the impenetrable city of the god Indra, the magnificent capital of the world adorned in precious gems, the happy city that abounds in the colossal Royal Palace, which is like the divine home where the reincarnated gods reign, a city blessed by Indra and built for Vishnukam”. 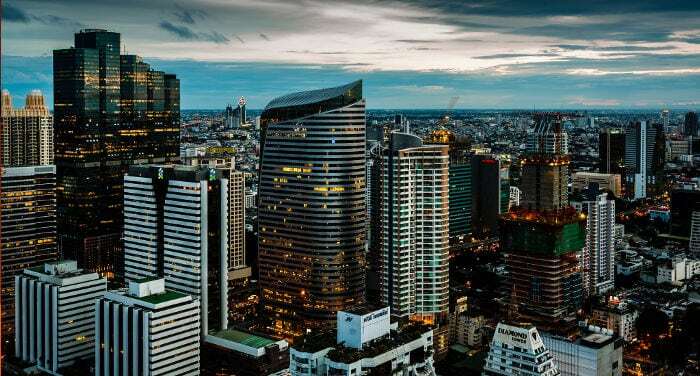 Bangkok, the largest and most populated metropolis of Southeast Asia with its almost 10 million inhabitants, is climbing the toward the top of the list of the most extensive and busiest cities on the planet. 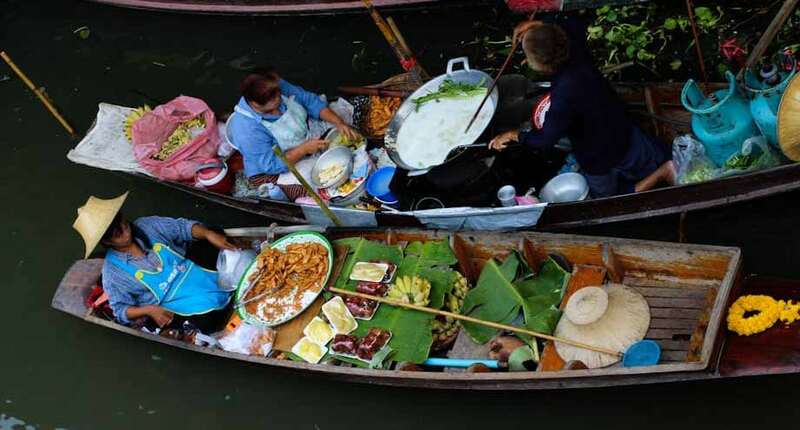 Located on the banks of the Chao Praya River, up until 1782 Bangkok was like any other town. Since then, thanks also to the fact that King Rama I made it the capital of Siam, it began its commercial, political and diplomatic climb. 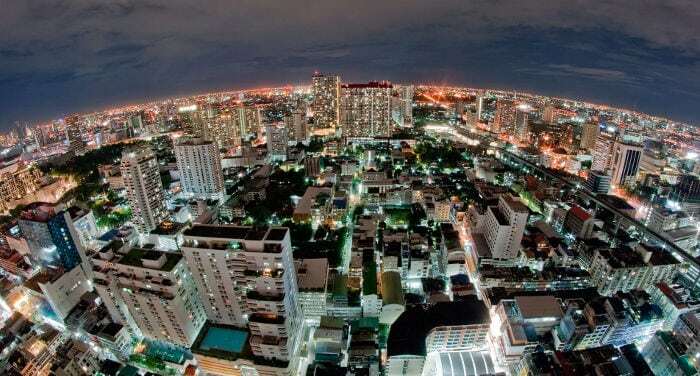 Bangkok with more than 8 million people is an enormous city with several thousands hotels, which may make choosing where to stay extremely difficult. This guide is a selection of the best hotels in Bangkok, whatever your budget may be. Bangkok is a megalopolis and traffic can be nightmare during rush hour. Even though its transportation is relatively efficient, getting from one place to another can be a big waste of time. Because of this, in this guide we have selected hotels near the Suvarnabhumi Airport and the downtown center (all of them are located in very central areas. Bangkok receives millions of visitors each year and because of this, we recommend booking hotels well in advance, as the best hotels fill up relatively quickly. Perhaps one of the first questions you think about once you land at the airport, after food and lodging is: “Now, how am I supposed to get around”? 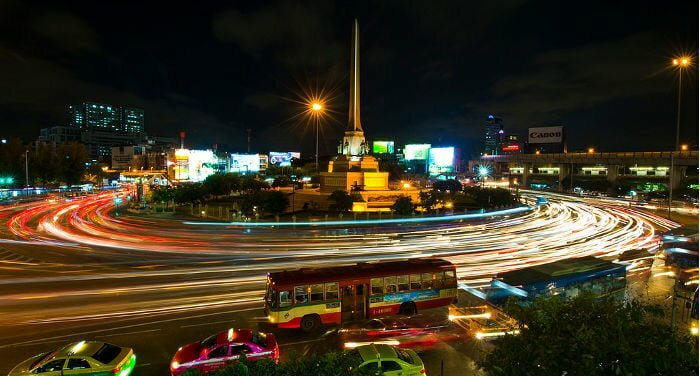 The traffic in Bangkok is world famous and it’s very easy to find yourself in the middle of an enormous traffic jam at any time of the day or night, wasting a ton of precious time. 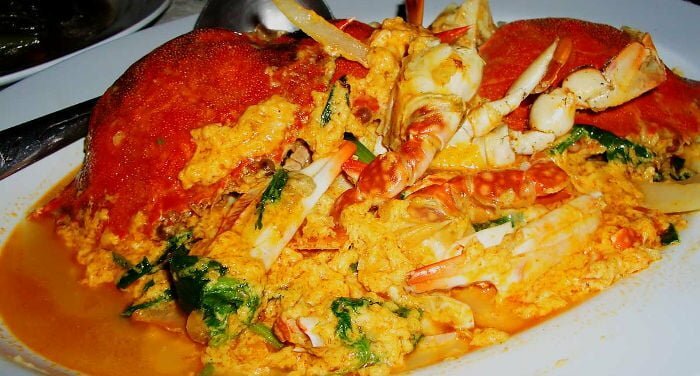 However, Bangkok is surprisingly easy to navigate using any of the public options you choose. If you’re thinking about moving to the Thai capital, even for a short time, this article will be very useful for you managing your money and creating a personal “living cost plan”. As you can imagine the main monthly expenses are similar to those in the West with a few small exceptions. 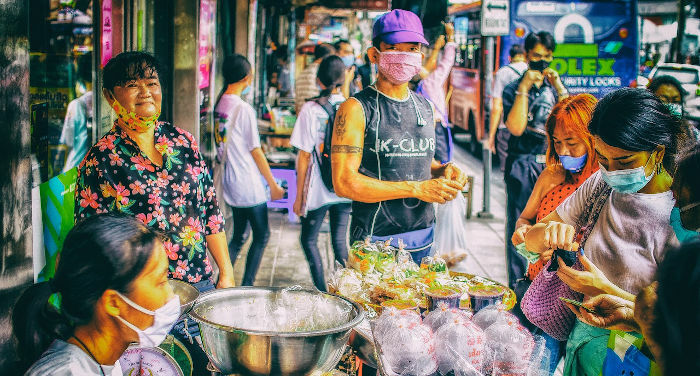 In this article we’ll cover both the obligatory expenses that you can’t avoid and the extra ones for everything you need to know when you step foot on Thai soil. 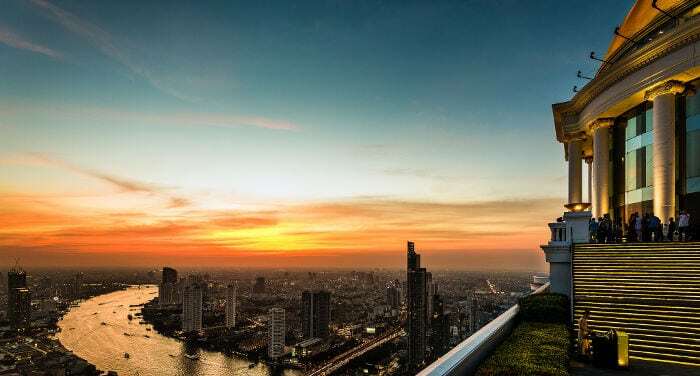 One of the first things you have to do once you land in Bangkok with the intentions of staying for awhile, is to look for someplace to live for a mid-to long-term period. Finding a house in one of the largest cities in Southeast Asia can be a hard and often expensive undertaking, both in terms of physical energy and money, especially if you’re not aware of information that can simplify (even by a lot!) the search. 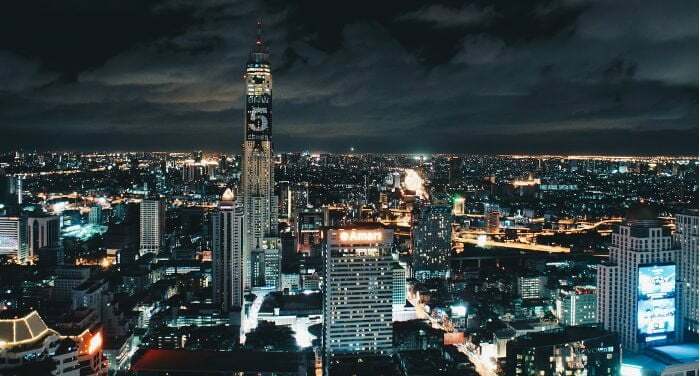 Keep reading to learn which are the best neighborhoods to find a house in Bangkok, what the different types of properties are, related costs and how to find an apartment (agents and contracts). Where to look for a house in Bangkok? 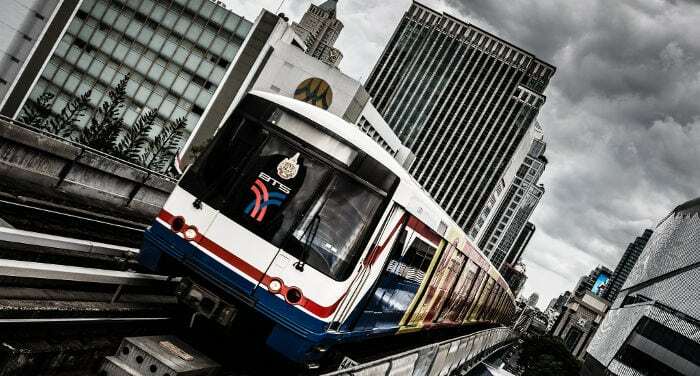 The first thing to do when looking for an apartment or house in Bangkok is to open a city map where the two elevated train lines are indicated, called Sky Train or more commonly BTS, which connects the eastern parts, northern areas and southern zone of the city, which are easily found near all the stops, and is available here in digital form. In Bangkok there are so many temples that, if you’re there only for a few days, it may be difficult to decide what temples are worth a visit. My opinion is that the two most interesting temples are the Wat Arun and the Wat Phra Kaew, both located inside the Old City (Rattanakosin); that is very close to Kao San Road, the backpackers’ street of Bangkok. While I was in Bangkok I’ve spent a day in Ayutthaya, the ancient capital of Thailand, and half day in Damnoen Saduak, where you’ll find the most touristic floating market of Thailand. Ayutthaya is the old capital of Thailand and is located 85 Km North of Bangkok. Ayutthaya was founded in 1350 and nowadays hosts an archeological site that became a popular destination for the tourists that stay in Bangkok as you can easily visit the site in a day. As you can see from the photos, here you’ll mostly find Buddhist temples. I was staying in Khao San Road, the popular backpackers area in Bangkok. So instead of going to the Bangkok train or bus station myself and then find my way once arrived in Ayutthaya, I’ve being lazy and took a day tour from one of the many tour agencies that you find in Khao San.